Also, check out the fashion from the TCA’s and the sixth episode of the seventh season. I thought the entire cast looked amazing at the TCA’s. My favorite was Shay’s because the gold backless dress was just such a showstopper with the simple styling and updo. I also thought Lucy’s was super pretty with her metallic dress, and her summery hair made the look effortless. Ashley also rocked her metallic dress with the interesting rings on the top. Janel and Troian went for more sleek and sophisticated. I am love with this sweater. It embodies Aria’s crazy prints from previous seasons, but it’s worn so simple here. The color combination worked really well too. 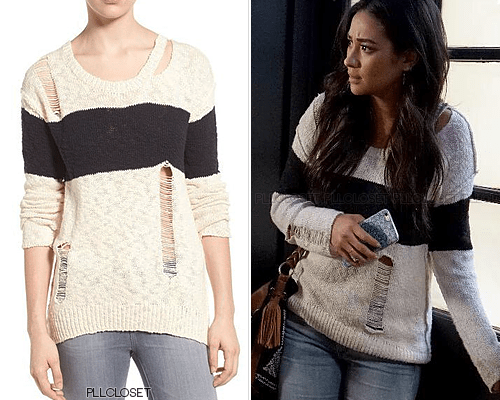 Emily looked so pretty in this slouchy sweater. The rips are so edgy and modern. 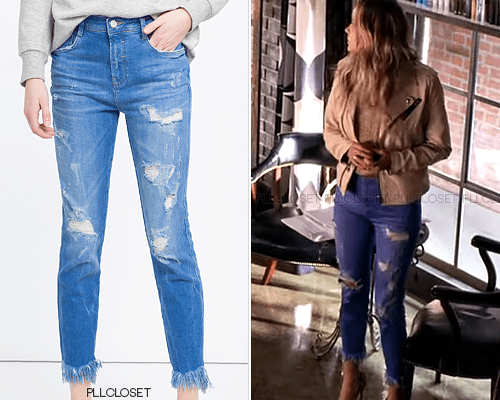 I really liked Hanna’s ripped jean. Her jacket was very sleek, but she made the look more casual and fun with these light washed boyfriend jeans. 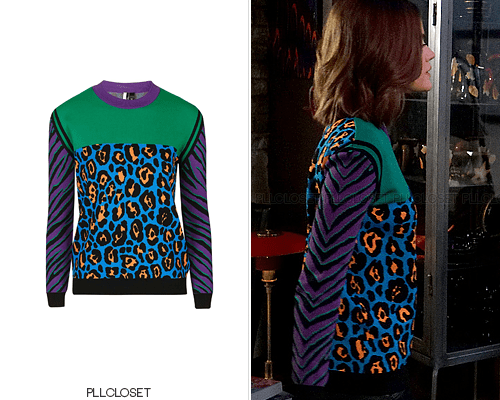 Also, thanks to PLL Closet on Tumblr for the photos and for the details on the clothing from the show.